We spend a lot of time and money gathering just the right hair and beauty tools for our needs. We count on our brushes and dryers, and tweezers and irons, to keep us looking our best always – but are we giving our tools the same consideration we expect from them? The best way to have our tools doing their job well for a as long as possible is to give them some proper care! Below are the best ways to care for your beauty tools in order to get the most out of them in return – you give what you get, right? Los Angeles-based makeup artist and hairstylist Alexandra Lee, founder of organic beauty balm Ever Balm, has discovered through trial and error some unusual ways to prolong the life of her tools and appliances. “I like to smear a little coconut oil onto the surface of my flat irons and curling irons, and then wipe off the residue with a paper towel,” she said. “It keeps the heating components super clean.” If there is any build-up on them from sprays and other products, she uses a little eye makeup remover to gently take it off without harming the component. Lee regularly uses Mason Pearson brushes on her clients, which retail for up to $200, so keeping them in top shape is critical. “I remove all the hair after each use and then clean them thoroughly,” she said. She spritzes alcohol on them –never water– and sterilizes and protects them that way. In addition to alcohol in her arsenal is Goof-Off –an all-purpose product that removes just about anything from anywhere. 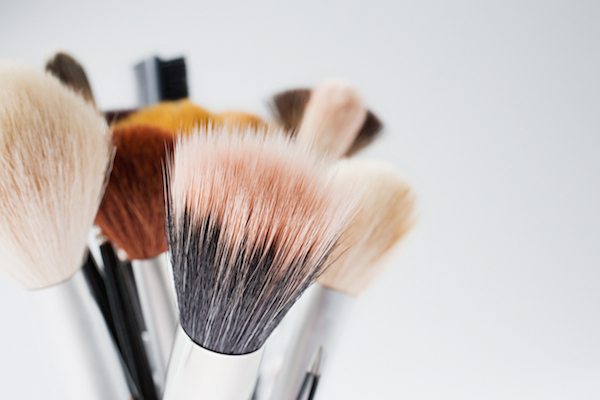 “My best tip to extend the life of your makeup brushes is to make sure you’re cleaning them at least once a week,” says Meghana Prasad of Meghana Rose Makeup. Use a gentle cleaner such as one made especially for makeup brushes or baby shampoo. You can even use an oil like olive oil to condition the brushes to make sure the bristles are in top shape. Make sure to never fully submerge your brushes in water as this will dissolve the glue holding the ferrule in place and make your brush fall apart. Drying your razor after each use in the shower can dramatically increase its life expectancy, even for inexpensive disposables, says Pamela Jeschonek, owner of Everyday Esthetics. Dropping your tweezers can bend the tips, making them useless for grabbing hairs, says Jeschonek. Always keep a good grip on your tweezers while using them. Clean the brush on your mascara every week as well, says Waller. Remove it from the mascara tube, wipe off all excess mascara with a tissue, place it into a glass of hot water (make sure it’s not too hot, and definitely not boiling), then dry with a paper towel and you’re all done.